Energetic Star Ram who recently delivered a decent hit with Nenu Sailaja is currently busy shooting for the new film in the direction Kandireega fame Santhosh Srinivas. 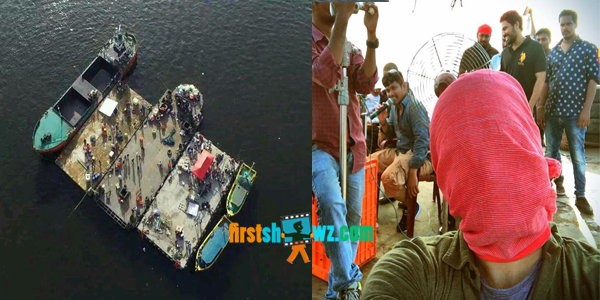 Currently, Interval Block is being shot in the locales of Visakhapatnam and the actor has shared the pics in his social platform. Touted to be the action entertainer the film is produced by 14 Reels Entertainment by Anil Sunkara, Ram Achanta and Gopi Achanta. Ram and Santhosh Srinivas has earlier paired up for the super hit film Kandireega and the duo are taking care to make sure shot hit through this movie. Raashi Khanna is once again pairing opposite Ram after Shivam.